The differential diagnosis of widespread pain in older adults is broad, with fibromyaglia syndrome (FMS) leading the list. While the exact pathogenesis of FMS is not clear, recent studies suggest that abnormal pain processing and central sensitization contribute to the development of chronic muscle pain and tender points. Precise diagnosis of FMS requires a targeted history and physical examination. 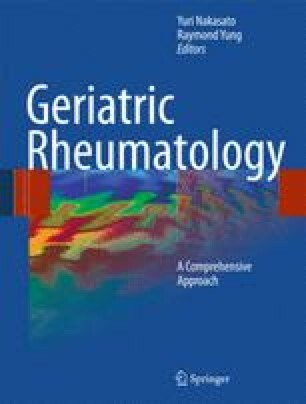 A multimodal treatment approach combining pharmacologic management, physical therapy, and cognitive behavioral techniques is effective for reducing pain and improving function and overall well-being. Antidepressant and anticonvulsant medications are widely used for FMS treatment. Depression and anxiety are common psychiatric comorbidities in older FMS patients that also require treatment to optimize outcomes.